Jessica received her Bachelor of Science in Biology at Texas A&M University and attended PA school at the University of North Texas Health Science Center in Fort Worth, Texas where she served as President of her class and graduated with a Masters of Science Degree in Physician Assistant Studies. 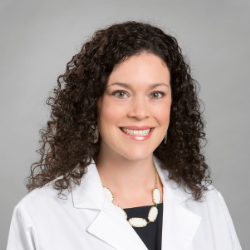 Her past PA experience includes practicing in Interventional Pain Management for over 9 years in Austin and practicing in Dermatology in New York City for 2 years. In addition to direct patient care, she has had experience as the Clinical Director of the Texas Pain Management Division of US Anesthesia Partners and has served as a research sub-investigator for several cosmetic laser research studies. Jessica was a seasonal allergy sufferer herself and enjoys helping her patients improve their quality of life by improving their allergy and sinus symptoms. She spends her free time exploring Austin with her husband and two young daughters, listening to live music, and plays on competitive indoor and sand volleyball teams with her husband.